Feel as if you’re right beside Athena as she takes you to some of the most stunning sites in the Western Cape. Understand her thought process as she explains the essence of fine art landscape photography, how she chooses her subjects, researches locations, and what she does on location in order to capture the essence of each place. 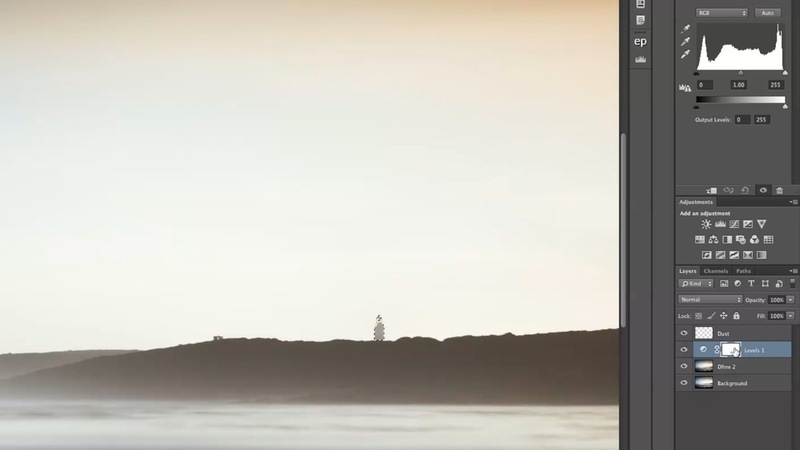 Watch as she photographs a shipwreck on the southernmost tip of the continent, exquisite sand dunes by the sea, and a lighthouse at sunset. Afterwards Athena welcomes you into her home studio and shows you how she turns her favorite images into fine art photographs with just a few easy steps. What defines fine art photography and what goes into capturing fine art images? Athena shares her thoughts on these subjects and how to get a feel for a location. Included are insights on how to use light to your advantage. Athena takes you on location to Danger Point lighthouse and to the shipwreck at Cape Agulhas, located at the southernmost tip of Africa. She shares her approach to preparation and shooting, and how to deal with changing weather and tides. Also included is how to approach composition. Athena explains her workflow from raw to final image and shares her approach to photography and creating stunning panoramic images. 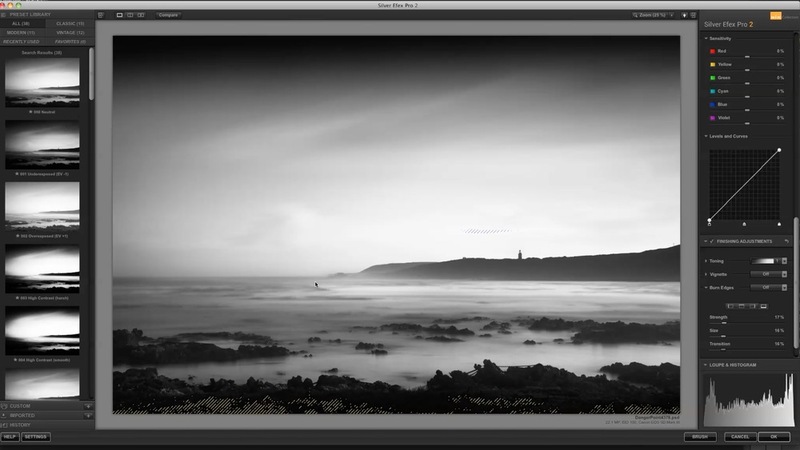 Included are screencasts demonstrating importing, rating & metadata in Adobe Bridge, preparing the image using Dfine, black & white conversion in Silver Efex Pro, and finishing touches in Photoshop. Also included in this segment is a look inside Athena's photo bag. "This is one of the best things I have seen in a very long time. What I appreciate the most is that this tutorial feels 'elevated' and not gimmicky in any way. It is genuine, easy to follow, and inspiring to watch. 'Process' is vital, and anyone watching 'Africa With Athena' will value hearing about and learning what Athena grabbed -- and why -- out of her bag of skills and techniques, based on what she was feeling or experiencing. The imagery is wonderful, and I really find so much to see when I spend time looking at it. 'Africa With Athena' is a thing of beauty and power, and I am inspired!!!!!" "This is absolutely a recommendable video tutorial: original, educational and brought in a stylish and knowledgeable way." "Africa with Athena should be the standard on how to teach various photography subjects. I loved how candid it felt while also being so informative. The pacing was wonderful and relaxed, and the whole production is a visual feast. So many other how-to's are filmed in a studio or at some desk. Boring!!! Congratulations n such an excellent tutorial!" "It is rare to be thoroughly engulfed and transported into such photographic beauty. In Athena Carey’s 'Africa with Athena' video, I was educated, entertained and inspired by its content. Not only is she truly a gifted photographer, but an educator as well. From scouting locations, to final post-processing, Athena takes her viewers through every step of the way, in a manner that is not only entertaining, but easy to understand, no matter what your skill(s) are as a photographer. This is a must-see, must-have video adventure. I recommend this wholeheartedly and without any reservation." "Brilliant work you guys. Enjoyed every minute watching it. For those who of you who haven't seen it, I highly recommend watching it." "Downloaded and watched already, will go back to it a few times and let it sink in. Great supplement for the B&W fine art course too. SO, Africa, check. Where are we going with you next?" 1 hour and 15 minutes of beautifully produced content, available for instant online download.